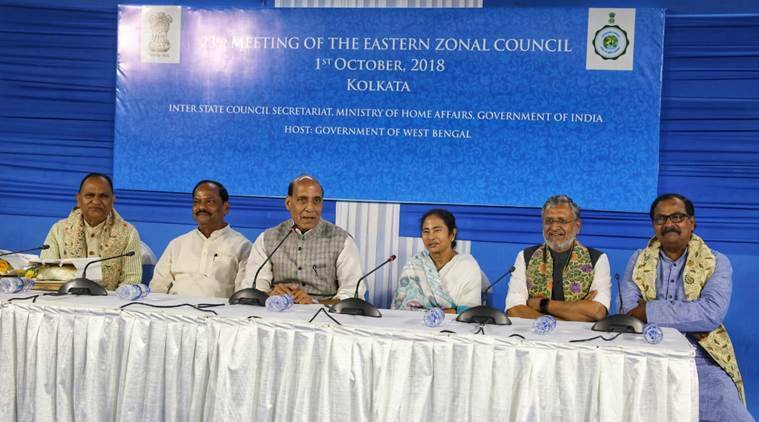 Chairing the 23rd Eastern Zonal Council meeting at the West Bengal Secretariat, Nabanna, Rajnath Singh also assured the state governments that the Centre would provide adequate Central forces if required. 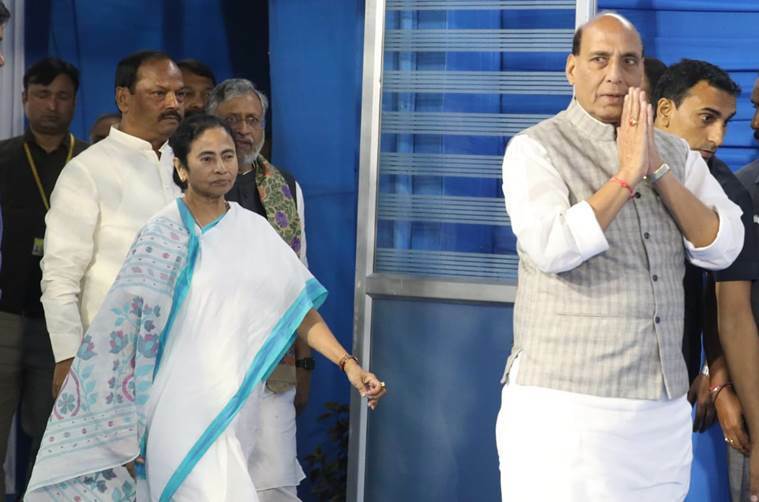 Outlining the Centre’s policy to resolve the Rohingya issue, Home Minister Rajnath Singh on Monday said states have been asked to collect biometrics of the illegal migrants, following which action would be taken through diplomatic channels with Myanmar. Chairing the 23rd Eastern Zonal Council meeting at the West Bengal Secretariat, Nabanna, Singh also assured the state governments that the Centre would provide adequate Central forces if required. “States have been told to identify them (Rohingyas). They have to take their biometrics also. After that, they will send a report to the Centre. Then the Central government will initiate action through diplomatic channels with Myanmar and then we will get it resolved,” he said. Singh’s remarks come after the Supreme Court directed the Centre to ensure that no illegal migrants are issued unique identity cards. The MHA has also asked the states to share with the UIDAI the particulars of those illegal migrants who have wrongfully obtained Aadhaar cards for appropriate legal action. The meeting was attended by West Bengal Chief Minister Mamata Banerjee, Jharkhand Chief Minister Raghubar Das and Bihar Deputy Chief Minister Sushil Kumar Modi. Odisha was represented in the meeting by Finance Minister Shashi Bhusan Behera. There are more than 40,000 Rohingya illegally staying in India out of which the maximum is reported to be in Jammu and Kashmir. The home minister, who is on a two-day visit, also discussed issues related to inter-state relations and security matters, including the Maoist menace. On Sunday, the BJP state unit had urged Singh to press forward its demand for a CBI probe into the killing of students and party workers in Islampur and Purulia, respectively, during his meeting with Banerjee.